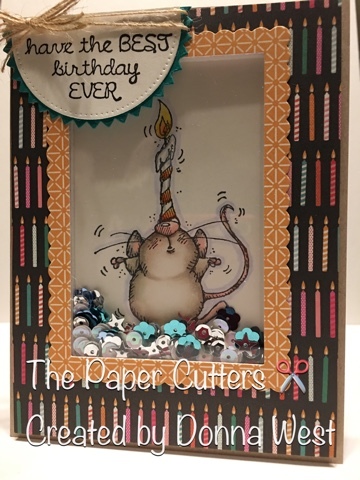 The Paper Cutters: Little Red Wagon Challenge #378- Happy Birthday! Here we go! This week our challenge at Little Red Wagon is a Happy Birthday theme. I am always needing birthday cards and I just got this little stamp called Mouse With Candle from Whipper Snapper Designs. I love shaker cards and this little guy worked out great in my shaker window. I may have gotten a few too many sequins in there, but this guy is partying and didn't even notice!! So come on over to the Little Red Wagon blog and join in all the birthday fun. Top picks will be posted next Tuesday. I'm excited to see what everyone makes! 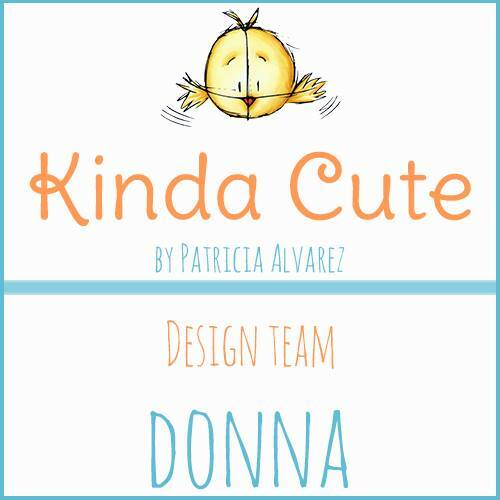 adorable Donna! Loved the class yesterday by the way! Oh, that mouse is SO sweet!! Such a fantastic card with all those sequins! More sequins is always better than not enough sequins! Love that mouse stamp. Wonderful card. So cute and not too many sequins. Shaker cards are the best. Love that little mouse! Shaker cards are so much fun. Good job! I am loving this sweet little shaker!